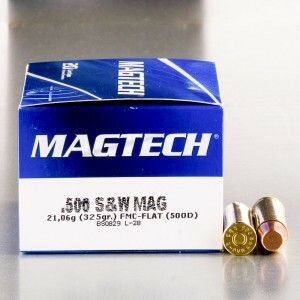 .500 Smith & Wesson Magnum ammunition is a semi-rimmed, straight walled, .50 caliber, revolver cartridge developed by Cor-Bon in partnership with Smith & Wesson's X Generation Team for use in their new x-frame, model 500, revolver. 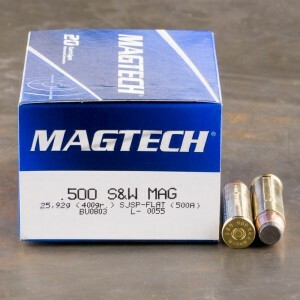 Introduced in 2003 at the Shooting, Hunting, and Outdoor Show (S.H.O.T. 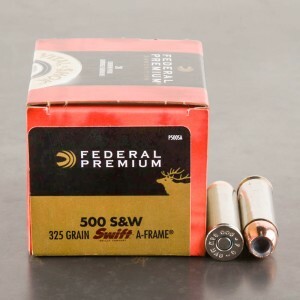 ), the primary purpose of this cartridge is the hunting of large, dangerous, game species with a handgun; a feat not to be attempted by the faint of heart or the under gunned! 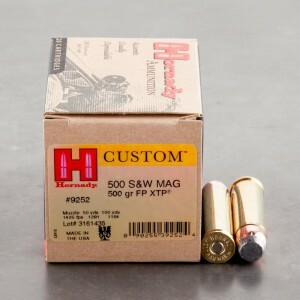 In fact, this massive revolver cartridge is capable of launching a 700 grain, hard cast alloy, bullet at 1,200 feet per second from an 8 3/8"" barrel which produces a phenomenal muzzle energy of 2,238 foot-pounds; enough to take on even Arica's Big Five! 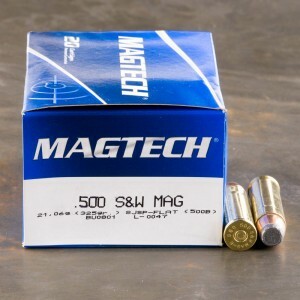 In fact, because the .500 S&W Magnum is the largest and most powerful of the new ""super cartridges"", it has the singular distinction of being the most powerful handgun in the world! 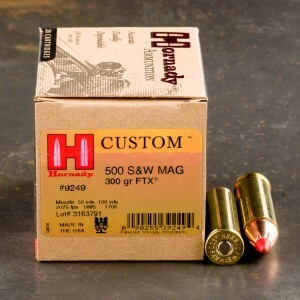 However, for the average handgun hunter, more common loads run an entire range consisting of 275, 285, 300, 325, 350, 385, 400 and 500 grain bullets; thus making this cartridge far more versatile than a first glance would reveal. Love the rounds. They make some big holes.